A teenager from the city roller skating blindfolded and solving cubic cube will be one of the special attraction in this year edition of Vadodara International Marathon. The boy will be participating in 5km run and attempting to register his name in the Golden book of records after completing the event. 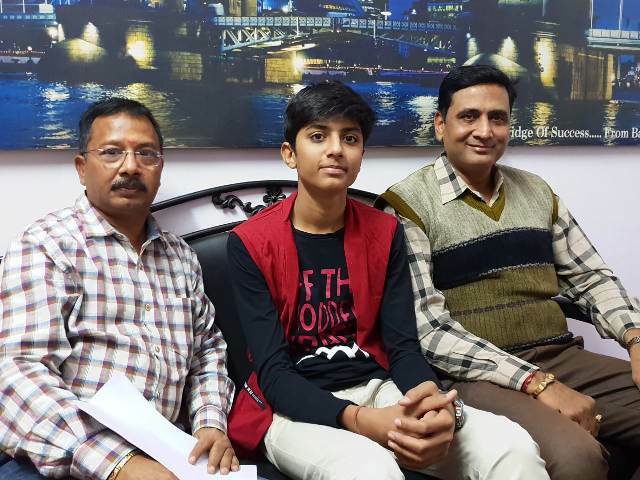 Ronit Rajesh Joshi 15 is studying in 10th standard of Sarv Mangal school in the city and also train himself to active his right sub conscious mind. After nearly a year of training Ronit mastered the art of reading almost everything blindfolded. You handover a piece of paper, visiting card or a identity card he can read the name and identify the colour with his eyes closed with black cloth. Now he will show this special talent to the world and going to attempt the feat in this year edition of Vadodara International Marathon. 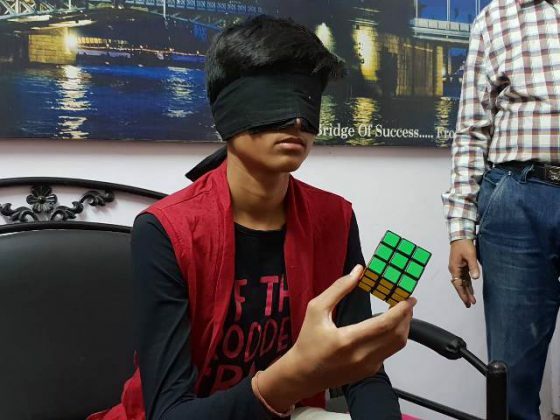 He will be roller skating in the 5km run blindfolded and cube solving on the way. He will be attempting Golden Book of World Records for ‘Blind Folded Skating with Rubic Cube Solving’ in the event. The officials of the record committe will be remain present during the event to cover the record attempt probably for the first time. “He is practicing for quite sometime for the challenge and every night he skate on the road blindfolded to master the art. He will be attempting world record for Blind Folded skating with Rubic Cube Solving at the same time during the event. 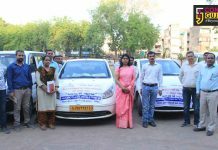 Apart from the record the attempt is to spread the message to the blind people who often feel neglected in the society,” said Rajesh Joshi a teacher and father of Ronit. So what makes him to learn such technique in such a young age and he said it benefits him in his studies. 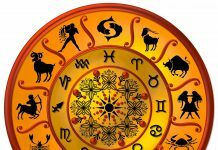 “A teacher in my 8th standard always asked me to medidate which I find very annoying. But when I finally experience it gives me inner peace from inside. Then I learn the technique of ancient third eye chakra of the body and implement it in my studies and further helping others,” said Ronit. With such powerful technique he is going to help the blind (not from birth) to train them and make them understand that they are not far behind from anyone and can live a normal life like others. “After his board exams we are planning to take him to the blind schools and associations to train the people in basic skills. We introduce him in the Vadodara International Marathon for the first time and plan to take him internationally in future,” said Mukesh Gupta National director of Human Rights Education Association and a close friend of Harish Joshi father of Ronit.